Rocketcat’s boots were made for blasting! 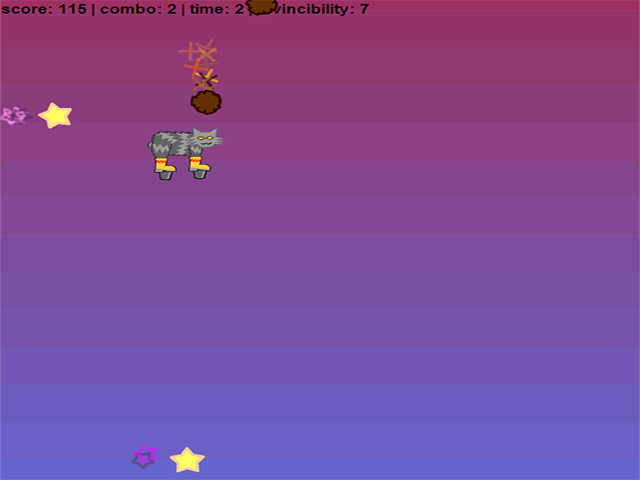 Help this fearless intergalactic feline navigate through meow-ter space and collect stars in this online arcade game. Use the right and left arrow keys to activate front and back rockets. 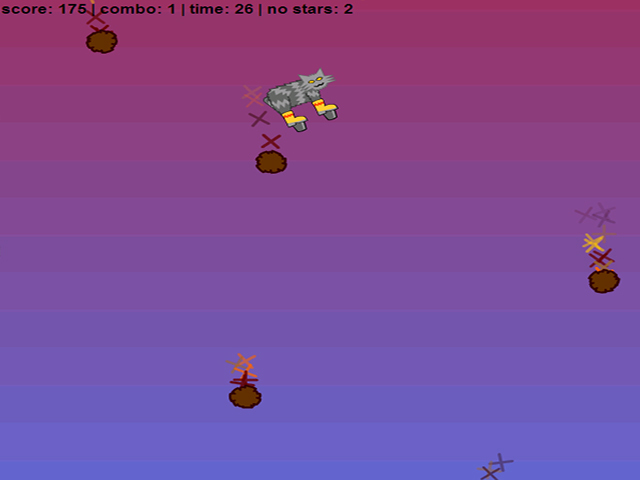 Use both together to shoot Rocketcat forward. 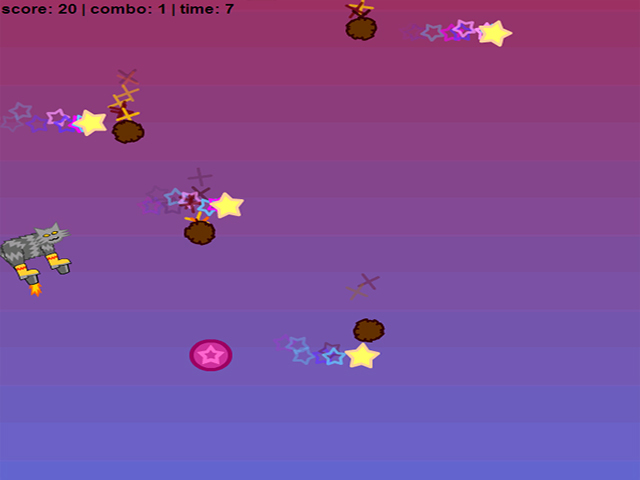 Dodge the drifting comets and watch out for special power-ups in the space debris. Are you ready boots? Start blasting! These boots were made for blasting!